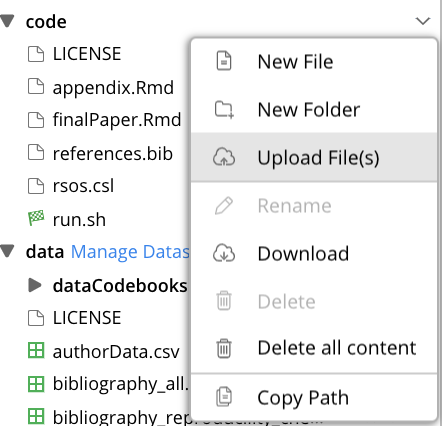 Can I upload folders to Code Ocean? Yes, but maybe not on Safari (use Chrome or Firefox to do so). 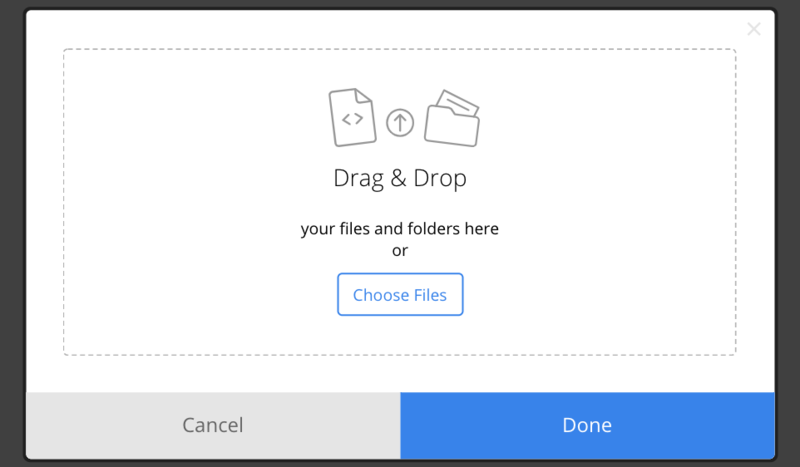 This will open up a drag & drop interface, to which you can upload folders. Note: this probably won't work in Safari. Please use Chrome or Firefox instead.